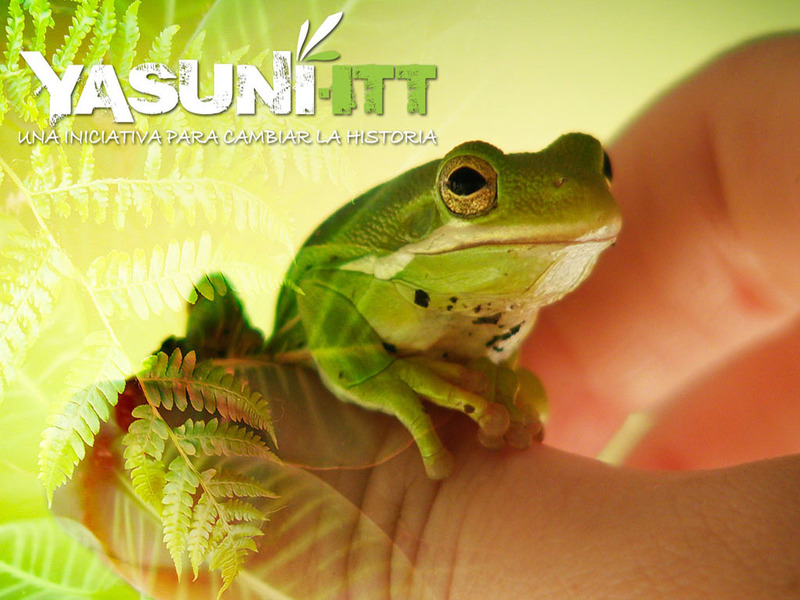 It has been <a title="Yasuni National Park One of Most Biodiverse Places On Earth" href="http://www.sciencedaily.com/releases/2010/01/100119133510 team collaboration app.htmhttp://” target=”_blank”>said that there are more types of frogs in the Yasuni National Park in Ecuador than in the U.S. and Canada combined. As one of the most bio diverse areas in the world, it may come as startling news that Ecuadorian President Rafael Correa announced recently that his government will begin drilling in this Amazonian nature preserve which he had previously pledged to protect. For a group of ASU students and faculty who spent July traveling in the country, however, it is not surprising. For instance, we learned from a conservation biologist who spent time in Yasuni that a road was being constructed into the region, which was already having an effect on the native jaguar population. An article in El Commercio, the national newspaper, in late July stated that there was pressure to drill in Yasuni with a lack of new oil reserve discoveries. The Ecuadorian president has said that the lack of international financial support is the cause. Show me the money and we won’t drill. This is basically what President Correa pledged to the international community with the 2010 proposal to keep the oil deposits in the ground at the Yasuni National Park’s Ishpingo-Tiputini-Tambococha (ITT) oilfields (Yasuni ITT) in exchange for external funds to equal 50% of what the oil extraction would have made for the country, estimated at 846 million barrels of crude equaling approximately 3.6 billion dollars. The President pledged to use these funds for national development goals, a priority for his administration which has already seen positive results in a reduction of poverty, improved infrastructure, and housing. For the Yasuni ITT proposal there is a yearly funding goal, which has been managed by the United Nations Development Programme. Entities like the Italian government and the Coca Cola Corporation have contributed to the fund, but apparently not enough. Correa’s policy reversal has not gone uncontested in Ecuador, where conservationists, indigenous groups and others are pushing for a national referendum on Yasuni. An Ecuadorian friend of mine suggested that Ecuador should refrain from drilling ‘because it is the right thing to do’. Others have suggested that the international community shouldn’t be blackmailed. And yet the bold social and economic programs of the Correa government need money. In Ecuador this summer we visited the site of the planned city Yachay, City of Knowledge, which will have as its centerpiece a university devoted to the study and research of science and technology (Click here for a brief video in English) . Several hours north of Quito, the ground has been cleared to begin the city and accept students into Yachay University for Fall 2014. Where would such an endeavor get funding? It is being funded by the Ecuadorian government, whose main source of revenue is…. Oil. Furthermore, the University is to have five main academic pillars, one of which is petrochemical studies. This story is not over, and it illustrates vividly the complexity of sustainable development, and the competing interests, both nationally and internationally, which make solutions illusive.